View of Center City from beneath the Ben Franklin Bridge. You've seen great tracking shots before in a million movie montages — always with the best song on the soundtrack — and you've probably wondered what it would look like to watch it in your hometown. 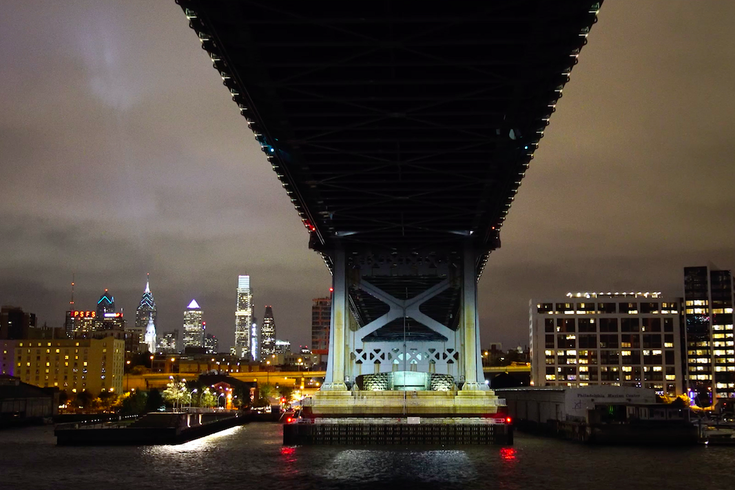 Well, Philadelphia now has its very own, pristinely shot hyperlapse of all of the city's most essential sights. "With summer weather just around the corner, I thought it’d be a perfect time to show off Philly’s active side," said local videography Cory Popp. "You’ll see lots of biking, rowing, running shots all around Philly." Hyperlapse is a form of timelapse photography in which the position of the camera is moved lengthy distances between each exposure, creating a warp speed effect that's particularly captivating in cities. Popp covers it all in the video below: day, night and dusk along Philly's rivers, subway lines, bridges, parks and through City Hall.